One of our newest games for this season….The VAULT! In this clever game, players have 30 seconds to crack a safe before time runs out. Players are given a thumb trigger to start the game and stop the rotating white light within the red spaces. 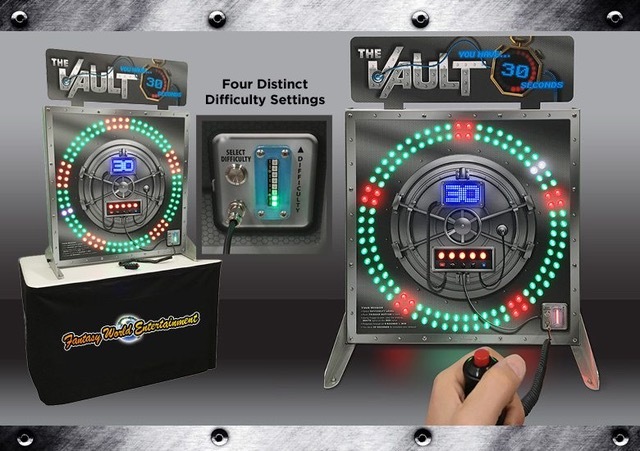 With four difficulty levels, this game can be played by kids and adults alike. The object of this game is to stop the rotating light within the red spaces 5 times within 30 seconds. If you can beat the clock you WIN!